Personal statement for a medical school is a challenge. Medicine is a challenging and exciting subject in general. How to lay down your soul in front of a stranger and explain that is your dream to study medicine and at the same time sound reasonable and capable of doing so? It is not a secret that medical schools try to find and attract the best applicants. You have to be young, you have to be motivated, you have to have the guts and the capabilities and sometimes even that is not enough. So how to make yourself visible with a single statement? First, a personal statement for medical school shows who you are and why you want to study medicine. Second, you have to distinguish yourself from the rest in the personal statement; show that you are more capable than the others, more enthusiastic and that you are the one who deserves to be accepted. You have to start writing your personal statement for a medical school by showing yourself, what drives you, what interests you in the medical field, what are your values, beliefs, interests, etc. Make a strong introducing sentence, add everything that will make you closer to the people reading your personal statement for a medical school capturing their interest and making them acknowledge you. And it is not only who you are, but also who you want to be after you graduate. What are your goals, dreams and future achievements? Before starting to write a personal statement for a medical school, in fact before starting to write whatever, you need to prepare notes and a plan. You must have those notes memorized and be able to reconstruct them at all times because this is your future plan of life. You must have the strongest evidence why you want to study medicine. This is not a random choice; it is something that you have been preparing for a long time. 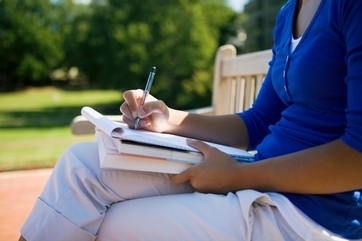 The reasons for studying anything are deeply personal and so it is your motivation on it. You simply need to sit aside and put on paper why you want to do that. You also have to consider who you are writing to. You have already targeted a couple of universities. Your statement will be considered and read by a committee of people for ten or fifteen minutes. What they will be looking for is your MCAT scores, GPAs, recommendations and applications, so write and emphasize on that. There are some other useful pieces of advice on writing a personal statement for medical school. First, writing personal statement for a medical school is not your resume, especially in a narrative form or a confession. This is not a plea for acceptance. It is very important not to use conceptions that you do not fully understand. Stick to the basics. Also, avoid using slang or abbreviations. This is not a statement about how your life is unfair to you, what it means for you or for your religion, how important a friend or a close person’s sickness was to you. This is about you, being a non-specialist who writes to a smart and intelligent audience. What are your actions so far in a medical field? This is the essential and most important part! Have you done some research, internship, voluntary work or whatsoever that shows that you do really have interest in that profession even after gaining a firsthand experience because let’s be honest, that is not an easy job and having a real taste of it shows whether you are really capable of doing it. Make your statement flow. Use good English and right punctuation. At the end, keep an eye on the word count. Your statement has to be well-organized and sharp, do not get the reader bored with too much information! Proofread the essay and make sure that all information is proper and accurate.